Wearables, fitness-apps and smartwatches are the big topics in my #sportspunk – blog. 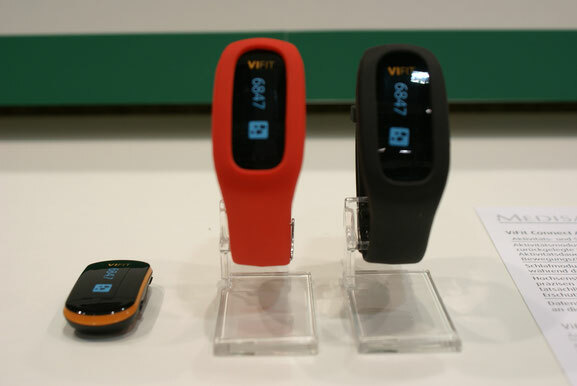 Mostly these gadgets improve our own (not only sporty) lives: Wearables measure all kinds of training as well as body data. Smartwatches connected to the phone deliver all kinds of data from the phone “in your face”, handsfree and the phone in your pocket. Fitness-Apps create personalized fitness and nutrition programs and make you independent from any gym and coach schedules. That is good. And that is why I report of the variety of functions these gadgets bring into our lives. “Wow”, you might say. “This technological development makes the world a better place, because it improves the peoples lives”. The functions look really cool on the surface. Jaron Lanier looks a bit deeper, under this surface with his new and already much-awarded book “ho owns the future”. He exactly focuses on the technological shift we are going through right now, called the digitalization. Since Iam reviewing these digital sports-gadgets on my blog for you, for the Sports.Punk this book was a must-read. It opened my eyes. It changed my mind absolutely. Therefore I tell you in the following why Jaron Lanier´s arguments in that book are essential to consider and what they are. If you agree or not, is up to you. But I strongly recommend reading or hearing to Jaron Lanier as long as you are a gadget – geek like me and worry about societal effects of the world becoming digital ever more. Yes, in many ways apps and sports-gadgets make our lives easier and better. Jaron Lanier, however, focuses on the effects of freely giving your data away to all these companies. Did you ever think about what an amount of data you are giving to a company when you register for example for a fitness app? Did you ever aks yourself why companies like Facebook, Twitter and all other internet-enterprises are so highly valued, while they are making losses in terms of money? 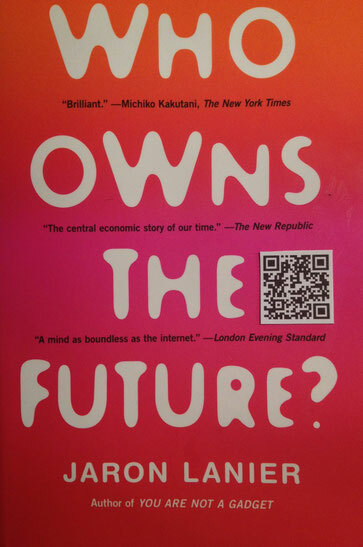 “Who owns the future” explains the rising importance of personal data, that we are ever more giving away freely to companies without receiving money for it. And this is exactly the point Jaron makes: People should receive money in change for the information they provide to internet companies. Maybe, that data is no asset that reflects in those companies balance sheet. No. But applied smartly, this information is of great value to them off-balance. Since with ever more data they possess and ever smarter ways to analyze it, they can use it to sell very personalized and automatized. The overall and long-term effect of those hyped internet and tech start-ups is not creation but destruction of jobs. Since the work that before was done by people is now done with the help of the data gathered from the people. The people, however don´t receive anything for that. 2. Jaron Lanier explains the negative outcomes for the people of a current societal situation. Additionally, the author comes up with a variety of solutions to make these technological changes improvements to everybody –not just the growing tech companies. Technically, these changes are manageable. But we need authorities that are ready to understand the situation and manage such regulations. Iam curious when the time comes. I hope it won´t be too late. I still remember the German chancellor saying recently that “to us the internet is virgin soil”. Wow, tough! So in my opinion it is up to the people to claim for their rights and values in the internet as long as we are still able to turn things around. Let´s wake up the politicians! The internet –that is a given- becomes more and more important. So be aware and don´t give away all your data too easy. Of course, we want to be open for innovation. So am I. Therefore I report about all the sports gadgets. But politicians please help us to make the internet a beneficial place for everybody! It is in its nature of a book review that it is only a summary. So, I definitely recommend to read the book if you really want to understand Jaron Lanier´s position and what is going on in this thing called internet. In my opinion it is a very interesting read. Anyway, one of the most interesting books I have ever read. Therefore I recommend it to anyone who wants to understand the changes that are happening in society by the internet. If you have read the book already or you like or disagree with the arguments of Jaron Lanier, I love to hear your comments below this post or via the known social media channels adding #sportspunk in your message.